Once again, the Deltapine brand of upland cottonseed was the most popular brand planted in the U.S. this year, according to the USDA Agricultural Marketing Service’s 2018 Cotton Varieties Planted report. The Americot/NexGen brands were the second most popular varieties planted, followed by PhytoGen, BASF’s FiberMax brand, All-Tex/Dyna-Gro, BASF’s Stoneville brand, and CROPLAN. For the second year in a row, Deltapine’s DP 1646 B2XF was the top upland variety planted in the U.S. this year, accounting for 21.2% of total cotton acres. NG 3406 B2XF from Americot was second in 2018 with 6.7% of overall acres. According to the report released on September 28, Deltapine brand upland varieties accounted for 37.2% of the U.S. acreage in 2018. Regionally, Deltapine varieties were planted on 61.3% of acres in the Southeast (AL, FL, GA, NC, SC, VA), 68.5% of Mid-South acres (AR, LA, MS, MO, TN), 21.5% of cotton acres in the Southwest (TX, OK, KS), and 42% of Western acres (AZ, CA, NM). In addition to DP 1646 B2XF, other popular Deltapine varieties included DP 1518 B2XF, DP 1522 B2XF and DP 1612 B2XF. Americot/NexGen claimed 30.7% of the 2018 acreage, including 14.3% of Southeast acres, 10% in the Mid-South, 42.2% of Southwest acres, and less than 1.2% in the West. Top varieties included NG 3406 B2XF, NG 4689 B2XF, NG 4545 B2XF and NG 3500 XF. 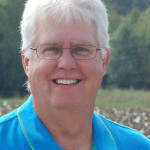 PhytoGen brand varieties accounted for 15.1% of U.S. upland cotton acres. The varieties were planted on 16.3% of Southeast acres, 13% of Mid-South acres, 15.2% of Southwest acres, and 11.9% of Western acres, led by PHY 330 W3FE, PHY 444 WRF, PHY 300 W3FE and PHY 490 W3FE. BASF’s FiberMax brand varieties accounted for 9.6% of the U.S. acreage. The geographic strongholds for the varieties were the Southwest (11.3% of acres) and the West (34.5% of acres). The most popular FiberMax varieties for 2018 were FM 1830GLT, FM 1320GL, FM 2011GT and FM 1911GLT. All-Tex/Dyna-Gro varieties accounted for about 4.2% of the U.S. acres, taking 1.54% of Southeast acres, 4.52% in the Mid-South and 5.21% in the Southwest. BASF’s Stoneville brand varieties accounted for 2.9% of total U.S. acres, while CROPLAN varieties captured 1.66% of Cotton Belt acres. Of the 20 most popular varieties in the report, Americot/NexGen claimed seven spots, followed by Deltapine and PhytoGen with five each. All-Tex/Dyna-Gro, FiberMax and Stoneville each placed one variety in the top 20. PhytoGen varieties remained the most popular choice for Pima cotton growers in 2018, accounting for 74.9% of all Pima acreage. The company’s PHY 881 RF topped the Pima rankings with 58.8% of acres, followed by Hazera’s HA1432-Pima with 14.1%. 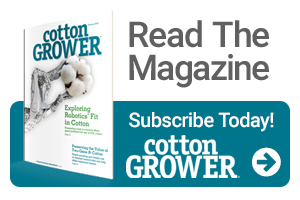 Estimates of the percentage of the cotton varieties planted in 2018 were based on informal surveys made by USDA’s Cotton and Tobacco Classing Offices with ginners, seed dealers, Extension agents and other industry sources. Is the 2018 report available online? If so,what is the link?